business and commerce kicks off in the emirate next week, the culmination of a series of events designed to promote its ambitions to be the world hub of the fast-growing sector. Ayman Khaleq will be keeping a close eye on the proceedings. The 43-year-old Jordanian lawyer has developed an expertise in Islamic business affairs throughout his career at the helm of several leading law firms. Now, as managing partner of global firm Morgan Lewis & Bockius in the UAE, he is well placed to judge the progress Dubai has made towards its goal. 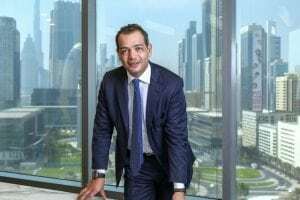 “Islamic finance has made great strides as an industry in Dubai and around the world,” he says, pointing to the hundreds of billions of assets under management in Sharia-compliant institutions and the steady progress of the market in sukuk (Islamic bonds). But there is still work to be done before Dubai achieves its aim of being the capital of the global Islamic economy, part of a wider challenge for Islamic finance to rival conventional finance within the Muslim world. “A large amount of money is still sitting in Swiss bank accounts,” he points out. Mr Khaleq is not the stereotypical model of the Islamic financial expert. Educated at George Washington University Law School in the American capital, he has worked for some of the big-name law firms in the US and the Middle East. He is a regular speaker on the international forums circuit, and figures on several legal “power” lists. He has firm views on how Islamic finance should proceed from here. “There was a McKinsey report a while back showing that the majority of Islamic investors – those who were not already committed on religious grounds – would prefer to invest in Islamic products if it made financial sense. But it’s hard to demonstrate conclusively that it does,” he says. “There are also issues of standardisation. Malaysia leads the global field in Islamic finance because it has successfully developed standardised structures. In the Middle East, this has not happened. There are too many authorities, and not enough Sharia scholars,” he adds. The UAE has started to address this by going down the path of creating a centralised standard Sharia authority, but more needs to be done, he believes. “I’d like to see a training body, an academy, created that turns out scholars who are fluent English speakers, who are trained in conventional economics and finance, and who have had some experience of the world,” Mr Khaleq says. 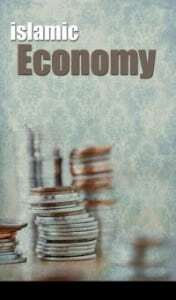 The Islamic economy initiative has been rolling for the past three years now, at a time when the conventional economy of the Emirates has been facing a series of challenges mainly prompted by the fall in oil prices and the strain on public finances that resulted. This obviously has a knock-on effect for the business of a transactionally focused law firm such as Morgan. “My view is that it  has been a ‘limbo’ year, neither boom nor bust. Of course as lawyers we can do well at either, but not when the clients are just sitting still, not doing anything. Some economists have forecast that the slowdown in economic activity will lead to a new round of debt-inspired refinancings at big Dubai corporates, and Mr Khaleq agrees, to some extent. “I don’t think it will be long before we see a new round of restructurings. Some corporates in the upper tier, in construction and retail for example, are feeling the pressure,” he says.